One of the very effective and rewarding ways to make money online is affiliate marketing. If you’ve seen my income reports you know how I make most of my money doing it. Affiliate marketing is when you promote products which you don’t own and as a sale is made you earn a commission. The commission generally ranges from $1 to $1000. If you blog then simply writing your blog posts and putting ads on it won’t do the work. You’ve got to level up. If you want success you need to work hard and smart. Keeping the hard part aside for some other post, in this article I’ll be sharing smart affiliate marketing tools you should definitely use. Some tools are free, some are free to try and some are premium. Convertkit is a powerful email marketing software. Specially for affiliate bloggers. What makes ConvertKit a super useful tool is its segmentation and drip automation features. 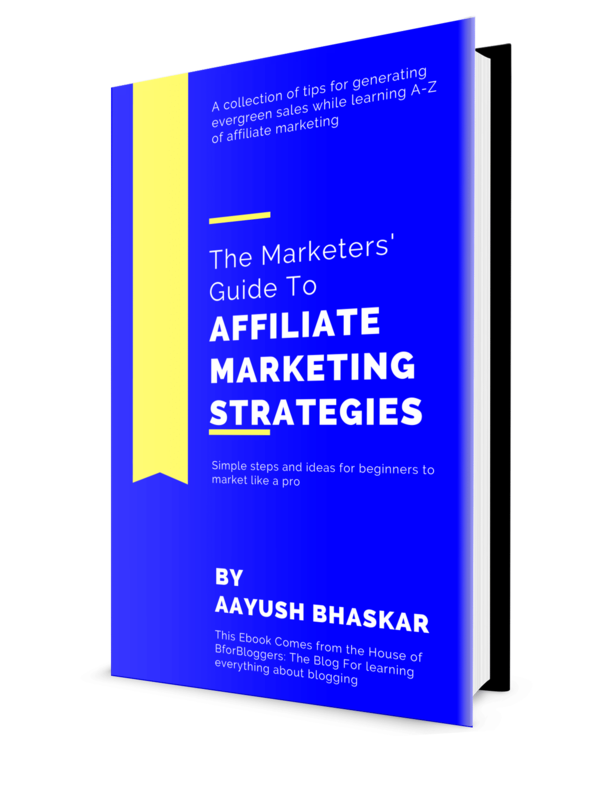 As an affiliate marketer, you want to create a connection with your readers, listeners and viewers. The more you build trust by reaching out to them makes it easier for you to sell. ConvertKit is easy to get started and has amazing deliverability. ConvertKit will help you deliver your emails to your subscribers and create an affiliate-sales funnel. Doing so will soon let you generate revenue on an automated and recurring cycle. Furthermore, you can segment different subscribers according to their interests. After you have set that you can create or pick one of the given workflow sequences to send different emails periodically. It’s that easy and equally powerful to use. If you haven’t started an email list yet, check the step by step guide to start an email list. and grow your blog. Connecting with influencers is highly beneficial for you. An influencer can help you create more user targeted content, help you reach more people and networks. This creates new opportunities for you to gather more customers and generate more sales along with increasing your brand value. NinjaOutreach can help you gather more search traffic and social shares if you use it to generate impressive content on popular topics. Learn how to use NinjaOutreach smartly. One of the few plugins out there that every affiliate marketer should try is ThirstyAffiliates. It is an affiliate link management and cloaking tool. ThirstyAffiliate lets you cloak your affiliate links to brand it under your domain name. This helps to protect you from link theft and affiliate id removal. Read this for more details on link cloaking. Apart from that, it stores the link data (name and affiliate link) so you won’t have to worry about finding and copy/paste the links over and over again. ThirstyAffiliates has other extra features like automatic linking, backup, import/export, rell=”nofollow” tag and redirects selection which make it even more helpful. Discount codes and coupons have always helped to generate more sales. Affiliate Coupons is a WordPress plugin that will allow you to create attractive coupons in minutes. The Affiliate Coupons will help you increase click-through rates and impressions by displaying attractive “custom” coupons in any area of your blog. You can easily create different looking and types of display coupons to promote any kind of affiliate product. This helps you erase the dependency on generic ad banners most of the affiliate programs provide and increase clicks. Here’s a step by step tutorial for you to use this plugin. Banner ads work great. Not only for AdSense and other CPM network users but also for affiliates. Advanced Ads is a WordPress plugin that will help you insert different types of ads on your blog. It is so powerful that you can insert and display ads anywhere across your website and blog. You may insert them above content, below content, in the header or in the footer. The best part is it has a feature called “ad wizard” which helps new users to publish ads step by step. You can display image ads, rich content (text with images), AdSense ads and dummy ads using this plugin. For more control over your revenue, you can also track impressions, clicks and conversions. Advanced Ads also comes with A/B testing. Testing multiple ad formats and types will show you what works and of course, what doesn’t. Read Advanced Ads Review and AdSense tutorial here. 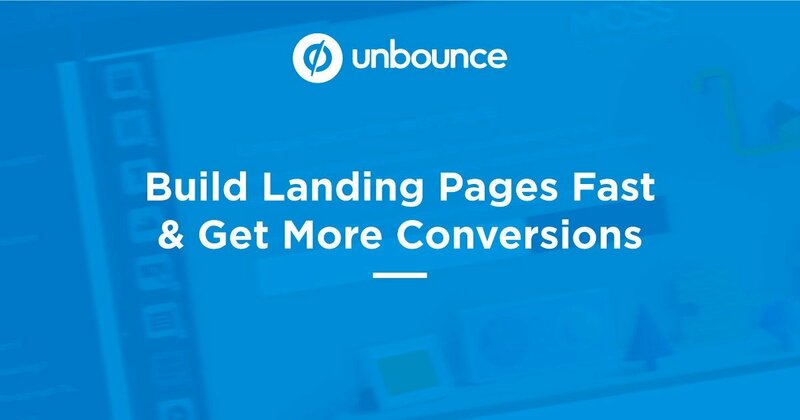 Landing pages are essential for digital marketers. Not only it makes it easier to keep your visitors focused but you’ll be able to positively convince them to take an action. Unbounce is a tool you’ll want to stick with. It is a drag-and-drop page builder built for creating high converting landing pages. For a seasoned marketer, it is very reliable because it receives improvement based on what currently working in digital marketing today. Unbounce has a number of templates out of which you can choose the one which suits your needs. If you are promoting an eBook, you can choose a template that’s already conversion optimised for selling it. All you’ll need to do is fill and edit it. It makes it faster and easier to get your affiliate product or lead incentive in front of your visitors. There will be a higher chance they will optin or click the purchase button if you send them to a dedicated landing page. 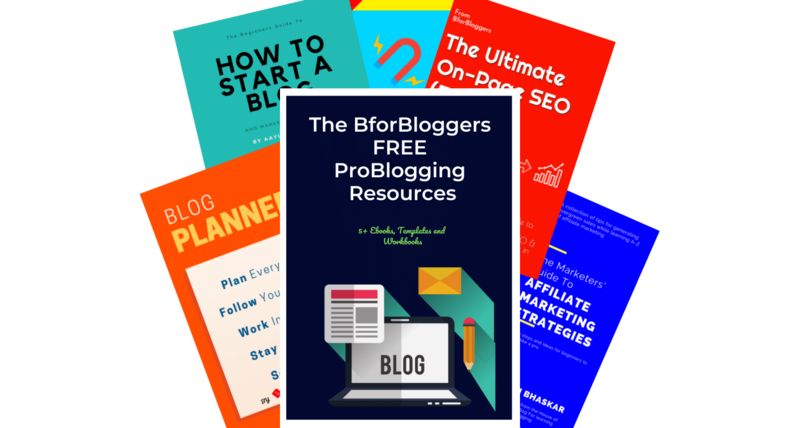 Unbounce is free to get started and BforBloggers readers get an extra 25% off on every plan with this Unbounce Coupon. One of the most powerful lead generation plugins you’ll use these days is Thrive Leads. It has everything you need to convert your visitors into subscribers. and many more types of optin forms. Whether you are a pro or a beginner you’ll love how powerful and conversion focused this plugin is. Some of the targeting options include exit intent, scroll intent and smart exit. It also allows you to create content upgrades and lead magnet optin forms. You can also send multiple lead magnets using Thrive leads easily. 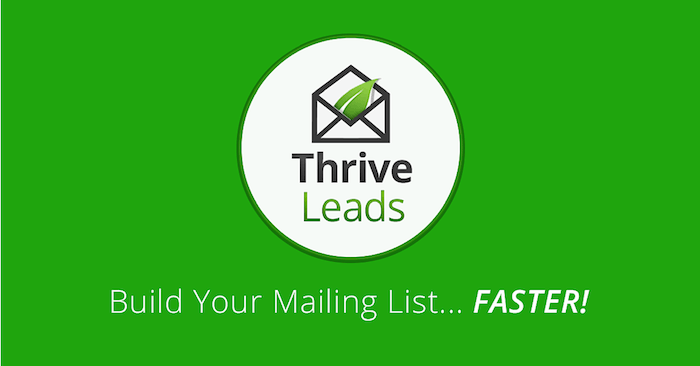 Thrive Leads integrates with ConvertKit and other popular email marketing services. You won’t have to worry or install any other plugin for your whole lead generation process once you start using Thrive Leads. Learn how to increase the conversion rate of optin forms. Social media should not be ignored. If you’ve got a following you can choose to monetise it as well. Publishing and posting affiliate promotions on your social media accounts can result in more clicks and conversions. Crowdfire a complete social media management tool. Its built for improving social media presence of small business and bloggers. It allows you to connect and manage Twitter, Facebook, Instagram, LinkedIn and Pinterest accounts. It also collects and shows you analytics data. You can analyse what content is more engaging, schedule black Friday promotions and improve the performance of your social media campaigns using Crowdfire. Here are the best social media automation tools for bloggers. Generating more search traffic you’ll be able to make more sales. Because more people visiting your websites means better the chances of you converting them. KWFinder lets you find long tail and high volume keywords quickly. It is damn simple to use that it saves time and helps to gather much more information about what keywords should you target. It also has a SERP checker along with the keyword research tool, which makes it even more useful. You can check the blog posts which are already ranking for any keyword you search. It will also show the, backlinks social shares, estimated visits and domain authority for the already ranking blog posts for the keyword you search for. I would suggest you to use it before you write a review post so that you what are the chances for you to rank and how much you’ll have to put effort into writing a good copy. Best part, KWFinder has a limited but free version too. You should also check some more keyword research tools here. Online courses can result in double affiliate conversions. Teachable is a tool that allows you to create digital courses and sell them online. You can choose to sell the course for a price or give it for free. It has all the features you’ll want to kick start your courses. It will help you create multiple courses and different landing pages for them. You can host an unlimited number of videos across all your courses. It has a drag and drop page builder to help you out. Sales pages come with it so you don’t have to think or worry about creating one. Teachable courses are mobile friendly so your students can browse them on any device. You can integrate it with popular email marketing services so that all students who buy your courses go to an email list. That’s how you retain them. You can manage payments using its own checkout software and integrate it with PayPal, Stripe and credit cards. Including and promoting your affiliate products inside your courses is an amazing way to increase sales without any extra traffic. If you optimize your blog for both on-page and off-page SEO, you can generate free traffic from Google. SEMrush is an SEO tool which allows you to analyse your website, blog pages and overall SEO optimization you’ve done. SEMrush is a powerful tool if you are using Google Ads. It shows how paid traffic is performing for a particular site and how valuable the keyword is to target for generating paid traffic. Doing so you can calculate if affiliate commissions will be making you profit if you start ad campaigns or not. If you use it on a regular basis, follow the suggestion of reports and correct the errors it shows, you’ll be able to generate more search traffic. This will again create a high chance of conversion and sales of affiliate products you promote. Read SEMrush review. Stencil is a free tool to help you create impressive and highly-shareable images. As a blogger, you should know original images are a vital part of your content. Affiliate banners are usually so generic that people often don’t see those ad banners. A working solution for this is creating original and custom affiliate banners. Using Stencil you can create ad banners of multiple sizes to promote any product you want. It is very easy and simple to create images using its drag and drop editor. You can also add icons and stock images. Every icon and image in stencil is royalty free. It has a free plan which is enough to get started and make more money than you were making before. Learn how to create graphics using Stencil. PushEngage is a not so popular tool that helps you build a community of your subscribers. Without any email list building. It prompts a user to subscribe a website via push notifications. A new notification would appear in front of your website as soon as you activate PushEngage. By subscribing to push notifications your visitor would be notified of new events and updates you send to them via PushEngage. It works on Chrome, Safari, FireFox and mobile android browsers. Its free for 2500 subscribers, enough for you to get used to it. They do have a WordPress plugin as well. Everytime you publish a post you won’t have to leave your dashboard. PushEngage would automatically send push notifications to all your subscribers. Or you can create a segment of subscribers to promote specific products in specific categories. Schema Pro is a WordPress plugin that helps you add schema markup in your blog posts. It’s completely automatic once you activate it. After activation, you’ll be able to add rich snippets markup as well. In selected posts such as affiliate product reviews, this can be highly profitable for you. Showing star rating below post links in SERPs can result in more click-throughs. You may also want to check this detailed tutorial for adding schema markup in WordPress. Want a chrome extension that can show you affiliate networks and marketplaces for a term you search? Right in the Google search results? It a free chrome extension and probably a reliving tool for affiliate marketers. It makes finding new affiliate programs easy. 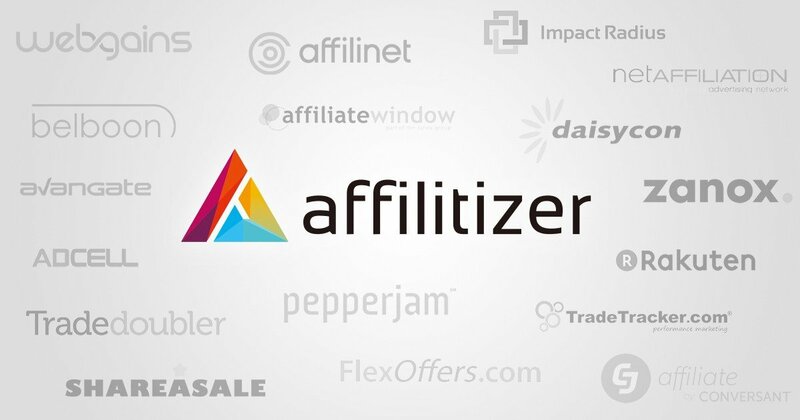 You search a term on Google and Affilitizer will show you if the product, SaaS or service is having an affiliate program or not. If there is, then it will also show where you can join them. It saves a lot of time. Read more about Affilitizer and how it works. That’s all. 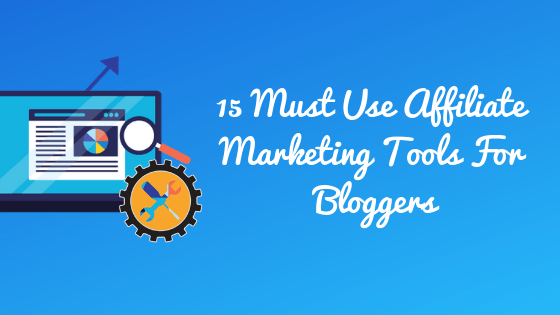 These were the best tools for affiliate marketers. Using them you can start being more productive, gather more traffic, convert your visitors and make more money. You should also check the 10 smart affiliate marketing strategies. Let me know which tools are you using. Also comment what tools you would like to add in here.